Home décor has become important part of luxurious and comfort living. The home décor cannot be completed without a polished and glossy floor surface, which lends a unique resale value to any property. At the same time, when you opt for concrete polishes, you must remember that they should make the floor anti-slip, so that children and aged people do not fall down and hurt themselves. Concrete polishing specially at floors is a perfect available option for anyone seeking for home renovation. It is a process in which floor is treated with densifier that is chemical used for smoothing the texture of floor tiles and marbles. Technicians also make use of grinding tools for better results. It is a kind of non-waxing flooring material. 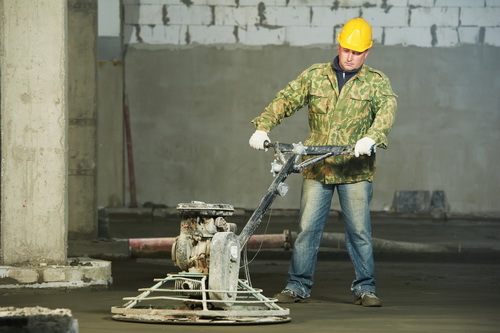 What are the 4 types of Concrete Polishing? In order to get glossy floors at your homes or even at offices polished concrete become highly recommended choice for everyone. 1. Large aggregate refined Concrete Floor- 1/4th cut depth of surface is essential for gaining this polishing type. After placing the concrete slabs this process is immediately enabled for desired results. To match your desired floors, a minute concrete layer is grounded after three days of slab placing. Some of the additional grinding methods may be applied to floors to get more refined results. 2. Medium aggregate refined Concrete Floor- for obtaining the most perfect finish you will require 1/18th cut depth of surface. After the seven days of placing concrete slabs this kind of polishing is enabled. Right quantity of aggregate is attained through grinding process. 3. Salt-pepper Concrete Floor- it requires 1/16th cut depth of surface. In hit and miss locations you will find little aggregate exposure in this kind of concrete polishing. This finish can easily be obtained by evaluating the concrete mixture of floor. Flooring levels are important for acquiring such finish. If the floor levels of the rooms are not identical, then the aggregate exposure will appear large as well as small at different places. 4. Cream Sophisticated Concrete Floor- a very minute surface cut-depth is required in creamy floor and aggregate exposure is of small amount. On using such flooring option you can completely stay away from problems of color loss due to cut depth. This type of finish even decreases the overall cost of polishing the concrete. It is quite popular style than other polishing options. Sustainability- using such type of finish can prevent you from using new material for home floors. It is not restricted to garages and basement areas as once the slabs are placed and polishing has been done to perfectly lock the slabs, it gives glossy look to your traditional kitchen and even to modern living rooms. You can even improve the existing ambience of floors by placing oriental rugs, along with pretty fixtures or furnishings. 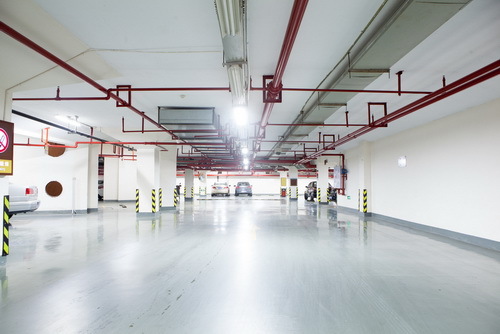 Economical- the expected cost of concrete polishing is $2-$6 for single square foot of floor. Making your home floor as lustrous sheen can be very affordable as well. The tonal differences, aggregate as well as subtle cracks can be blended into stone like structure which gives natural feel. Longevity- polished floors can last for many years and there is no requirement for carpets or rugs to hide cracks and uneven area. You can use it as display items along with numerous other architectural salvaged stuffs. Easy care- soapy water can be used for regular mopping. Versatility- penetrating sealers of silicon can be implemented for exterior or outdoor application of the floors. You can talk to concrete polishing professionals to get an estimate about polishing your floors with the right tools and instruments.